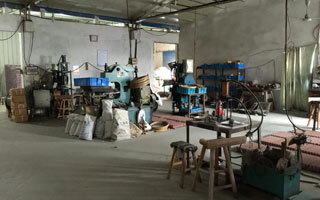 Wenzhou Yinuo Molding Co., Ltd.
Wenzhou Yinuo Molding Co., Ltd. is a high-tech company for the design, development and manufacture of mounted points and grinding wheels in China. Our main products aluminum oxide mounted points, silicon carbide mounted points, rubber mounted points, mounted flap wheels, mounted felt wheels, diamond mounted points and internal grinding wheels. We focus on manufacturing mounted points and grinding wheels then shipping products to around the world. We had 10 years of production experience, and our experienced team to manage manufacturing projects and ensure product quality from demand to delivery (inquiry, design, materials, production, package, shipping). The mounted points and grinding wheels are widely used for internal grinding, precision grinding, finishing and deburring of carbides, glass, ceramics, tool & die, aerospace, automotive, fabrication and jewelry etc. There are many different shapes of mounted points, such as cylindrical shapes, 60-degree cone shapes, oval cone shapes, conical shapes, T shapes, truncated cone shapes, spherical shapes and taper cup shapes etc. 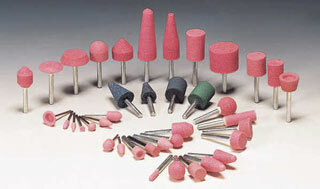 We offer a range of shapes mounted ponits and internal grinding wheels for your application. And we offer customize mounted points according to customer requirement, such as "A shapes mounted points", "B shapes mounted points" and "W shapes mounted points". It can be mounted on 1/8" shank (3mm shank) or 1/4" shank (6mm shank). 1. Low cost implementation and cost control: Compared to US and Europe factories, China more than 50% cheaper. 2. We had 10 years of manufacturing experience and the working experience of workers more than three years. Company: Wenzhou Yinuo Molding Co., Ltd.